On October 4th, 2018, Moldovan Members of Parliament of the ruling Moldovan Democratic Party” (PDM), led by the country’s oligarch Vladimir Plahotniuc, established a parliamentary commission to investigate “Open Dialogue Foundation’s and ODF President Lyudmyla Kozlovska’s interference in the domestic affairs of the Republic of Moldova as well as it’s funding of opposition parties”. It was established upon Plahotniuc’s personal request, publicly announced at a press conference in Chisinau on 23 August 2018. This commission (consisting only of Plahotniuc’s PDM members and supported by pro-Russian President Dodon's party) officially has no legal competences and, according to official sources, was launched to collect and analyse information, as well as to formulate recommendations. The commission’s closed-door sessions were boycotted by the country’s pro-European and anti-corruption opposition parties PAS and DTPP, whose leaders, Maia Sandu and Andrei Nastase called it a “farce”. Indeed, according to the country’s remaining independent media (Moldova.org, NewsMaker, JurnalTV, TV8), the aim of this haphazard body, which has produced its report within just a few weeks, was to use past contact of the democratic opposition politicians, as well as other regime opponents, with ODF, to persecute them further, limit their activities and, their civil and political rights and, possibly, even freedom. The commission’s final report, presented by ruling PDM party MP Igor Vremea, accuses them of crimes including high treason, espionage and sabotage, claiming that both pro-European opposition parties were financed by ODF with sums of hundreds of millions of dollars (sic! ), which ODF supposedly channeled from the Kremlin. Apart from the obvious absurdity of that claim (and many others included in the report), neither political party or any other Moldovan entity has ever received any financing from ODF. The only material support ever given to those parties was financing logistical expenses for their top representatives (Maia Sandu and Andrei Nastase) to attend an event held in the European Parliament in May 2017, at which they were invited to speak alongside media and civil society representatives (Alexandru Machedon, Natalia Morari, Ana Ursachi). The event was co-organised by ODF and hosted by several MEPs from various political groups (Anna Fotyga (ECR, Poland), Ramona Nicole Mănescu (EPP, Romania), Renate Weber (ALDE, Romania) and Rebecca Harms (Greens/EFA, Germany). ODF is among the organisations responsible for imposing human rights condition for macro-financial assistance of the EU to Moldova, withholding at least 100 millions of euro from European aid programmes for Moldova, which were being misappropriated by the corrupt elites under Plahotniuc. 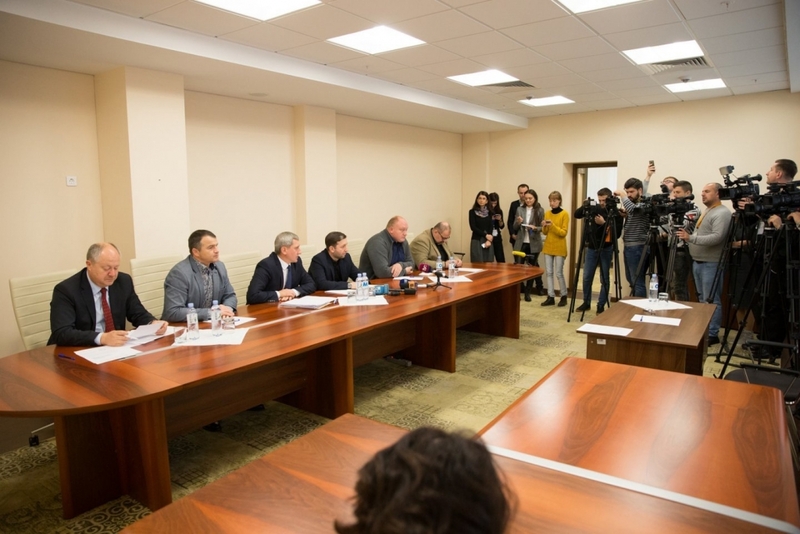 ODF, supporting the country’s opposition and civic movements, campaigned for adding the condition of respecting the rule of law and civil liberties for the funds to be allocated to Moldova. ODF and Lyudmyla Kozlovska have been advocating for the adoption of the Global Magnitsky Act and inclusion of Vladimir Plahotniuc in the sanctions list (also see recommendations at the end of ODF’s report). ODF has been vocal on human rights and rule of law violations in Moldova, releasing in the cooperation with Italian Federation for Human Rights a highly critical report on the country’s leadership as recently as July 2018, and - as mentioned - supporting opposition leaders & other regime opponents in their contacts with the EU, as well as defending some 21 journalists, lawyers as Ana Ursachi and Eduard Rudenco, judges as Domnica Manole and activists revealing the corruption of the regime. The European Commission has just announced it was cutting its financial assistance to Moldova by €20 million/year for both 2017 and 2018 due to rule of law and democratic concerns (this issue was widely described, also in ODF’s recent reports). The topic of the supposedly hostile actions by ODF serves as smokescreen for this painful blow to the regime. The SIS entry ban for Lyudmyla Kozlovska, which the Moldovan commission claims was due to Polish authorities revealing her as a Kremlin agent. In truth, Polish authorities didn’t deliver any official reason for the ban, and then - under public pressure - gave conflicting reasons, from “unclear financing” to simply admitting to being “afraid that ODF might want to topple the government or use it’s Brussels contacts to lobby against it”. A defamatory “report” of blogger and conspiracy theorist Marcin Rey, which was thoroughly debunked by ODF itself as well as several independent journalists. ODF has taken legal actions in that respect. Supposedly top secret information obtained from the Polish secret services (apparently the same whose credibility and validity had been assessed by several EU Member States, which decided to override Poland’s SIS alert and grant Lyudmyla entry despite persistent attempts of Polish authorities painting her as a national security threat). The Moldovan parliamentary commission, in its report, calls for the country’s authorities to impose swift and grave punishment for those accused, including imprisonment for high treason, sabotage and espionage, and preventing the pro-European opposition from running in the upcoming parliamentary elections. We are deeply saddened to see how Polish authorities and pro-government media - through the persecution of Lyudmyla Kozlovska and an ongoing media hatred campaign - have supported these scandalous actions by Moldovan authorities and further weakened the rule of law in the country. For more information on the establishment of the Commission read our article.